—much to your users’ delight! When it comes to delighting Googlebot, however, that can be another story. With infinite scroll, crawlers cannot always emulate manual user behavior--like scrolling or clicking a button to load more items--so they don't always access all individual items in the feed or gallery. If crawlers can’t access your content, it’s unlikely to surface in search results. 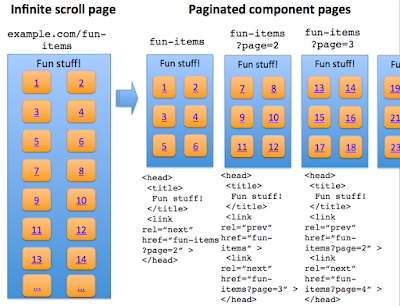 Infinite scroll page is made “search-friendly” when converted to a paginated series -- each component page has a similar <title> declared in the <head>. 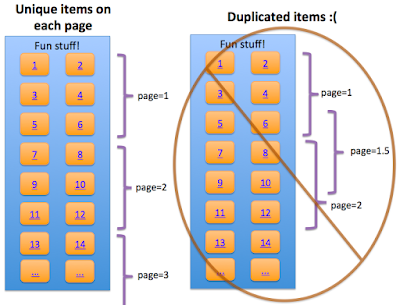 No overlap: Each item is listed only once in the paginated series (i.e., no duplication of items). 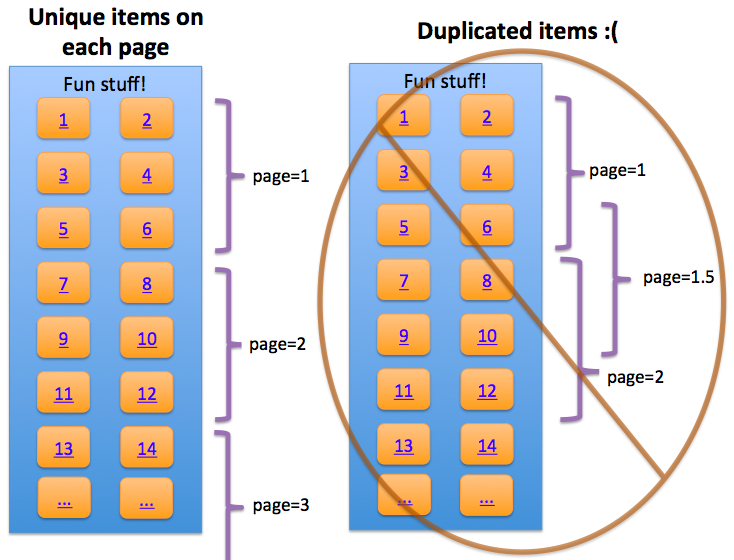 The example on the left is search-friendly, the right example isn’t -- the right example would cause crawling and indexing of duplicative content. Your site’s news feed or pinboard might use infinite scroll—much to your users’ delight! When it comes to delighting Googlebot, however, that can be another story. With infinite scroll, crawlers cannot always emulate manual user behavior--like scrolling or clicking a button to load more items--so they don't always access all individual items in the feed or gallery. If crawlers can’t access your content, it’s unlikely to surface in search results.